A lot has been said about our education system - some good, some bad. However, despite what people are saying, there's a group of people who continued doing their job and apparently, they have been crushing it! A worldwide survey recently found that Malaysian teachers are among the most dedicated in the world in ensuring that their students excel in school. 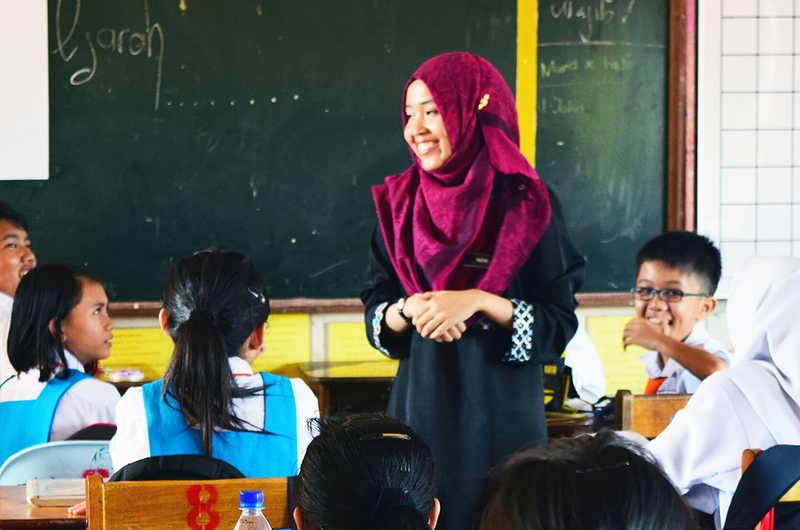 According to the Global Education Census 2018, 70 per cent of Malaysian teachers love what they do and felt that teaching was a rewarding career. On top of that, the survey also found that 75 per cent of the local teachers who took part in the census provided extra lessons and classes outside of school to help students catch up on their studies. The percentage, according to the survey, is the highest among the countries surveyed. When asked how they rate their own performance, 84 per cent of the teachers (also highest in the world) revealed that they used exam results as a barometer of their success. See, boys and girls, when your teacher rotan-ed you last time, he did it for your own good. The Global Education Census 2018 was conducted by Cambridge Assessment International Education (Cambridge International), an arm of Cambridge University, to show how life is for students and teachers around the world. More than 20,000 teachers and students took part in the survey, which quizzed them on topics such as classroom practices, the use of teaching aids, student aspirations and teacher motivation, among other things.